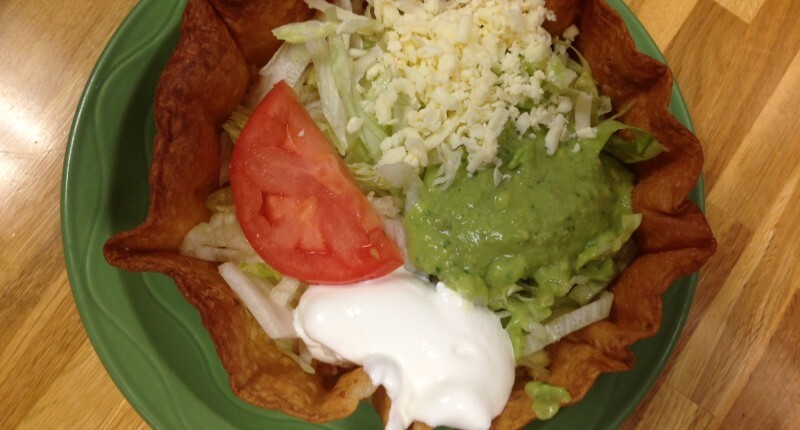 Crispy flour tortilla shell with beans, lettuce, tomatoes, cheese, sour cream and guacamole choice chicken and beef. 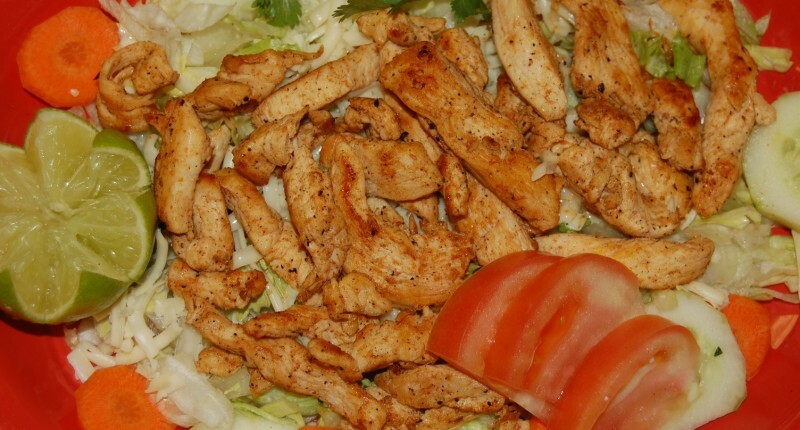 Grilled chicken- steak or shredded beef onions, tomatoes, peppers, beans, cheese, lettuce and sour cream. Grilled tilapia, shrimp and scallops, onions, tomatoes, peppers, cheese, lettuce, sour cream and guacamole. Grilled Shrimp over a bed of lettuce, carrots, cucumbers. Grilled Chicken over a bed of lettuce with carrots, cucumbers, tomatoes and cheese.